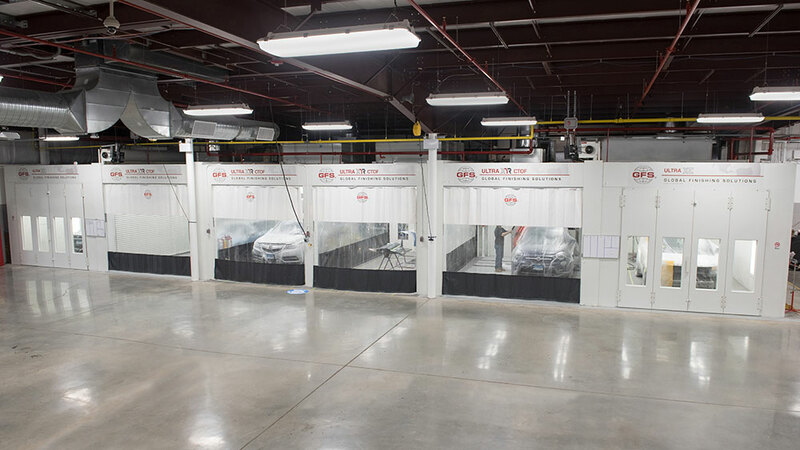 GFS’ premium Ultra Paint Booths provide the highest quality solution for painting automotive vehicles and parts. With exceptional lighting, intuitive controls, premium contamination control and effective overspray capture, high-performance Ultra Paint Booths from Global Finishing Solutions allow for flawless paint finishes and increased productivity. Pre-engineered Ultra Paint Booth models and standard options are fully ETL and ETL-C listed, ensuring that the entire booth complies with applicable safety codes and meets performance requirements. ETL listing facilitates successful inspections and demonstrates that Ultra Booths have completed independent, third-party review. 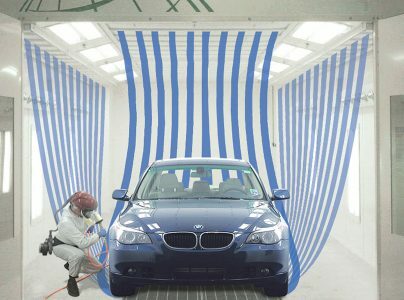 Ultra Paint Booths are expertly designed and engineered for superior performance and longevity. The Ultra Booth line offers many pre-engineered models and standard options that deliver consistent, quality results and feature shorter lead times. 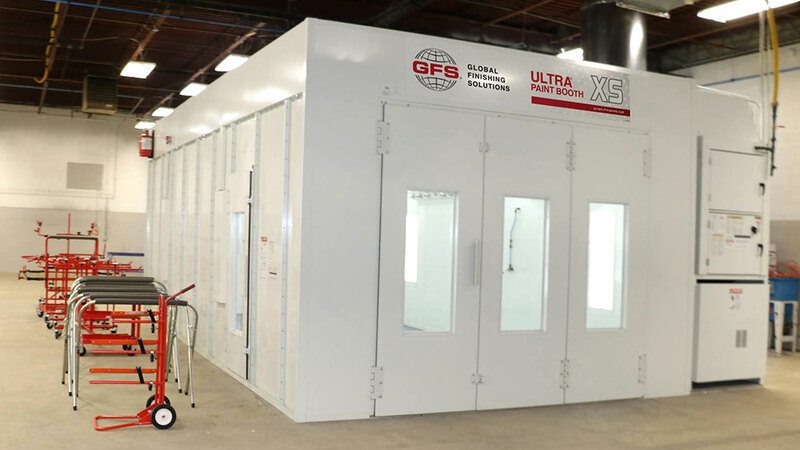 The Ultra XS spray booth delivers the quality and performance you’ve come to expect from GFS’ Ultra Paint Booths in a durable, single-skin design. 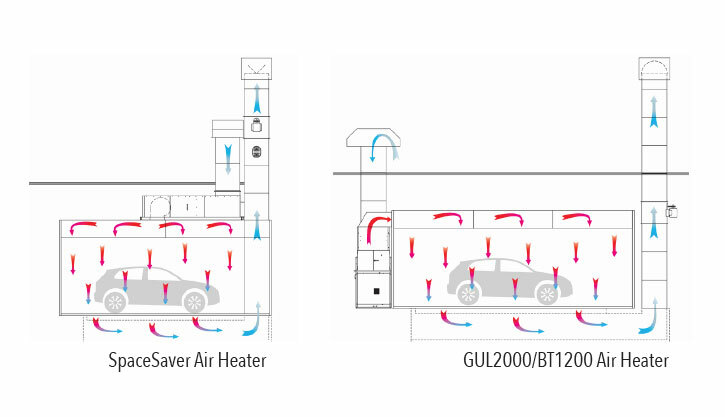 Available with downdraft or semi-downdraft airflow, several heater and control options, and multiple size configurations, Ultra XS provides flexibility and efficiency to suit any body shop. 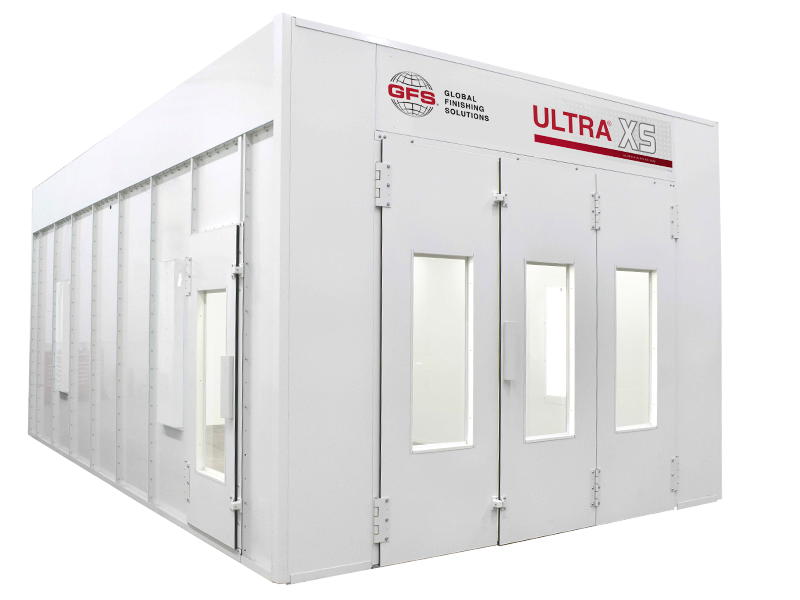 GFS’ top-of-the-line automotive spray booth, the Ultra XP1 exceeds the automotive industry’s standards for a premium paint booth. Incorporated into this booth is virtually every feature that sets GFS booths apart from the rest. With a 12-foot-high ceiling designed for painting Sprinter vans, commercial vehicles and full-size pickup trucks, Ultra XL brings the performance you expect from the Ultra Paint Booth line to an extended range of vehicle sizes and heights. 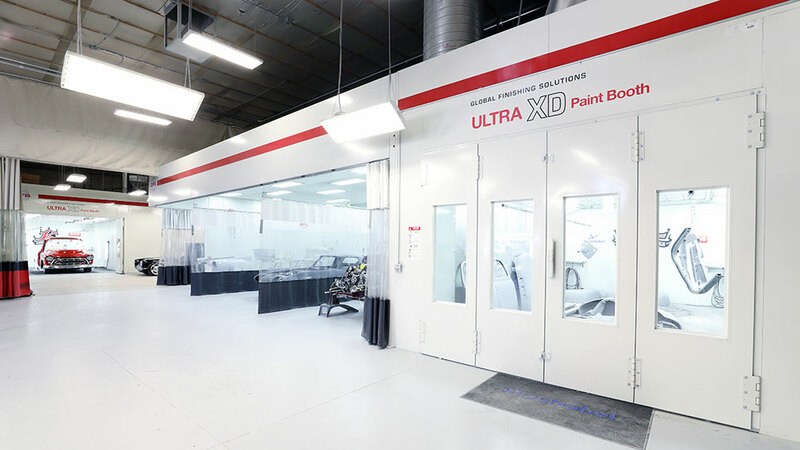 The Ultra XD spray booth leads the industry in versatility and performance. With a choice of high-efficiency heat systems, intuitive control panels, and downdraft or semi-downdraft airflow — along with superior lighting and contamination control — the Ultra XD will exceed your expectations. 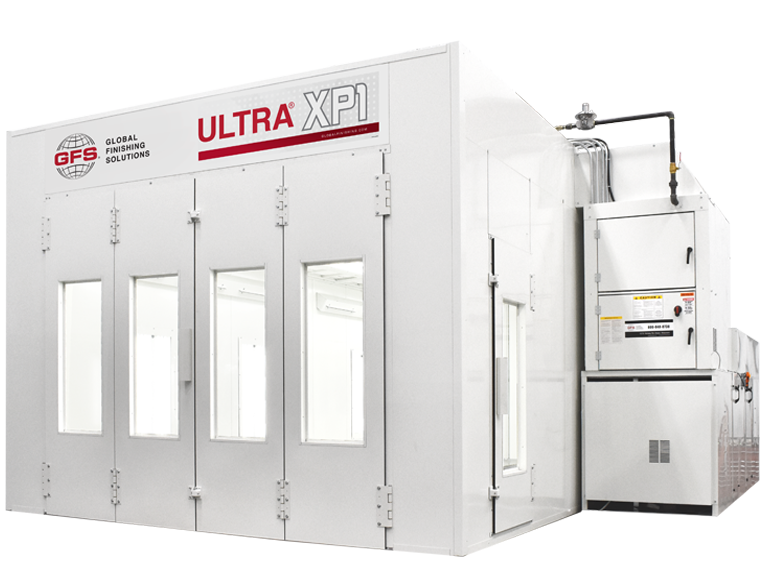 The Ultra XR Paint Booth is a premium downdraft spray booth that is integrated seamlessly with the REVO Speed — creating a top-of-the-line spraying and curing environment. 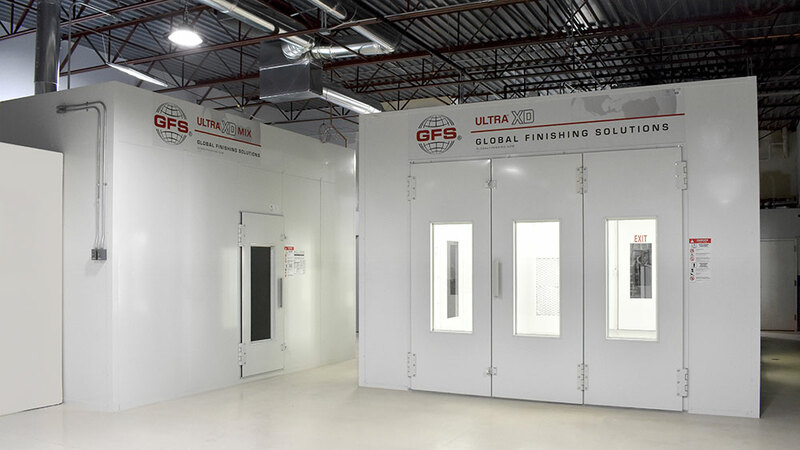 WANT TO learn MORE ABOUT ultra paint booths from gfs? 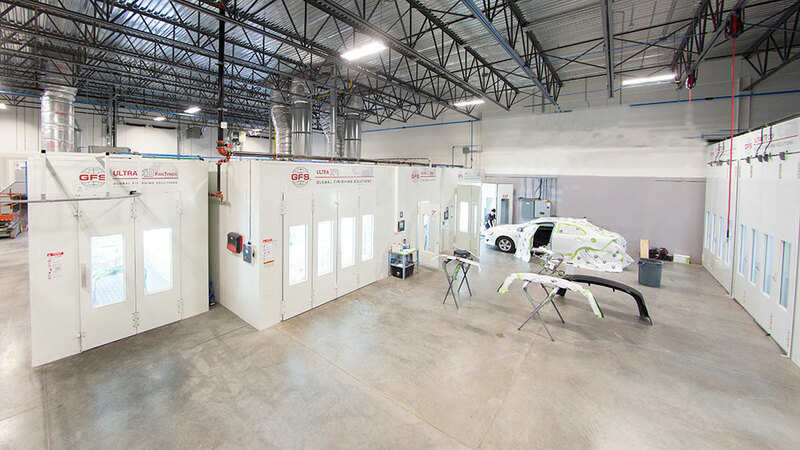 Since 1999, Global Finishing Solutions’ proven and sought-after Ultra Paint Booth line has been providing body shops and collision centers with high-performance finishing environments for painting automotive vehicles and parts. GFS continually improves its products and components, guaranteeing quality and consistent results throughout the Ultra line. 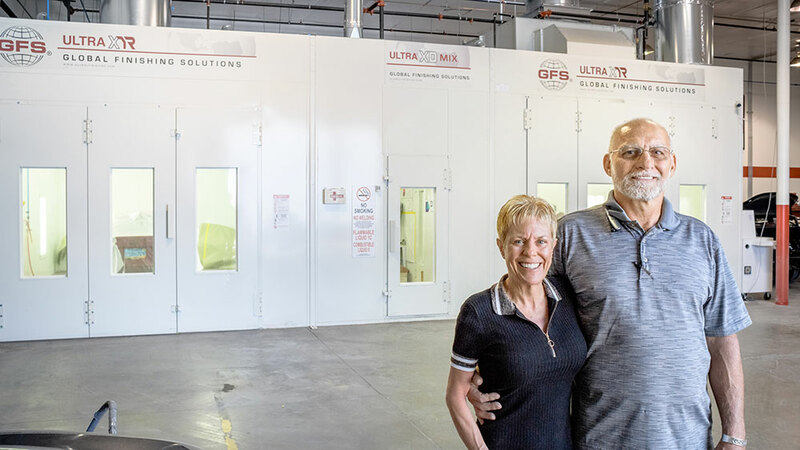 Exclusive to GFS, the Controlled Airflow Ceiling’s patented design maximizes the effectiveness of downdraft Ultra Paint Booths and increases the booth’s overall spray zone with a full-width ceiling plenum. The main airflow zone in the Controlled Airflow Ceiling creates a protective envelope of air around the vehicle, while secondary airflow zones protect booth walls from overspray and keep contaminants out of paint jobs. Between these zones is a row of color-corrected, angled ceiling light fixtures, located directly above the vehicle for optimal illumination. Generally accepted as the best airflow style, downdraft booths do an excellent job of controlling overspray and contamination. Air enters downdraft Ultra Paint Booths through GFS’ patented Controlled Airflow Ceiling, a full-width filtered ceiling plenum. From there, air flows vertically over the vehicle and into the filtered exhaust pit in the floor. The semi-downdraft booth is a hybrid, combining features of both crossdraft and downdraft booths. 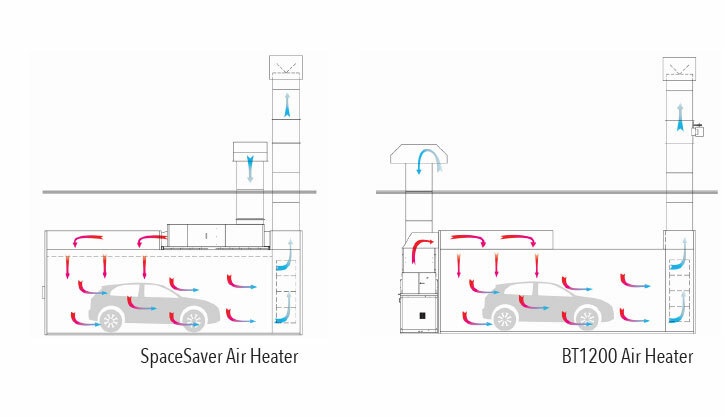 Air is introduced into semi-downdraft Ultra Booths through the High-Performance Airflow Ceiling in the first 25-30 percent of the booth. It’s then pulled through the working chamber, over the vehicle and into the filtered exhaust chamber at the booth rear.